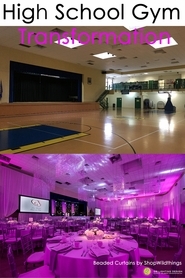 Our customers can come up with some of the most amazing event d�cor ideas and we just LOVE doing these custom projects and sometimes, we have left over materials that allow us to pass on very special bargains! 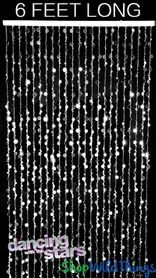 There are 11 curtains that are 35 1/2" wide by 4' long, each with 27 strands of shiny silver bubbles! 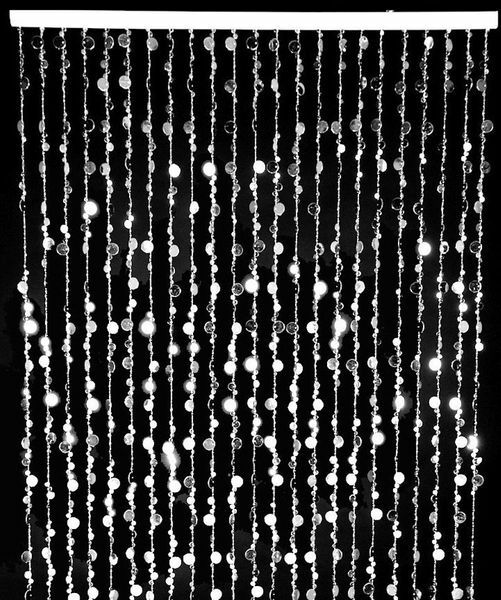 We have provided our Silver Bubbles Curtains to Dancing With the Stars, to Warner Brothers for several projects, to Disney, MTv, Vh1, Jimmy Kimmel, ABC, NBC, Miss Universe Pageants and more! It's a great backdrop piece for parties, events and holiday get-togethers as well! To gauge how good of a deal this is, our 12' bubble curtain sells for $54.99. From these 11 curtains, with a little time and a little glue, you could make 3, 12' curtains and still have 2, 4 foot curtains left over! The curtains are on a heavy duty rod with 2 moveable eyelets. Ready to hang for instant glam and they're so lightweight! Each curtain only weighs 1.4 lbs. 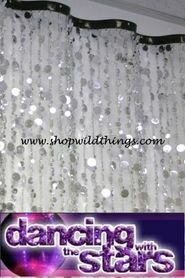 and the acrylic bubble beads are so beautiful...they add sparkle and glitter all over any surface! You can even hang them on top of another fabric like a shower curtain or window treatment if you want the sparkly look but you still like a more little privacy! This shorter length is ideal for applications where you don't need the curtain to go all the way to the floor, like behind a bed, in front of windows or like in the 2nd photo, you can suspend them to highlight specific areas. 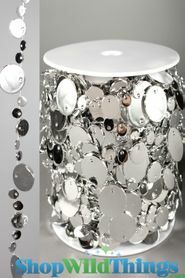 Or, you can hang them under a table, countertop or bar to add dazzle! If you have a high traffic doorway, this shorter look can work and they won't tangle like a longer length. Because the bubble disc beads on this style lay in different directions, even 27 strands provide a very full look. Create a zig-zag or curvy bottom by trimming the strands which won't damage the curtain! 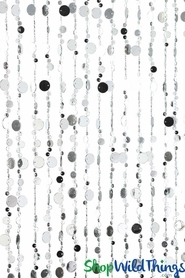 The video below features our 12' long Silver Beaded Curtain. Enjoy!